In the beginning of Episode 6, we see the characters at their annual “Breakfast Day”. 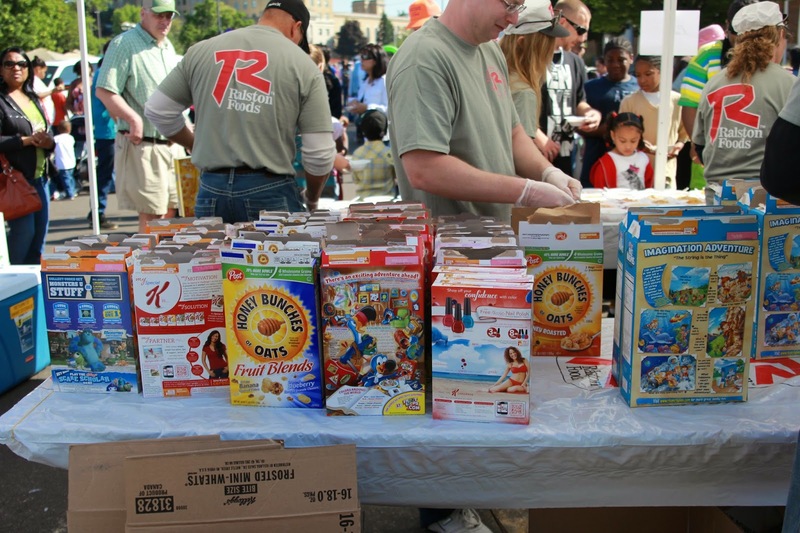 Every June in the real Battle Creek there is a Cereal Festival. Just like in the episode, there are tables set up for people to eat their cereal. There are booths with volunteers pouring cereal for event goers to take. Each booth has lots and lots of different cereal from the three companies in town. Besides just cereal, the event always has booths from different businesses set up. You can shop at the various booths or look for different kid events. It is a family friendly event every year that your kids will love! Also during the “Breakfast Day” shots, I noticed the downtown signs. The signs are almost identical to the ones in the real Battle Creek! The wheat logo and the colors are all the same. 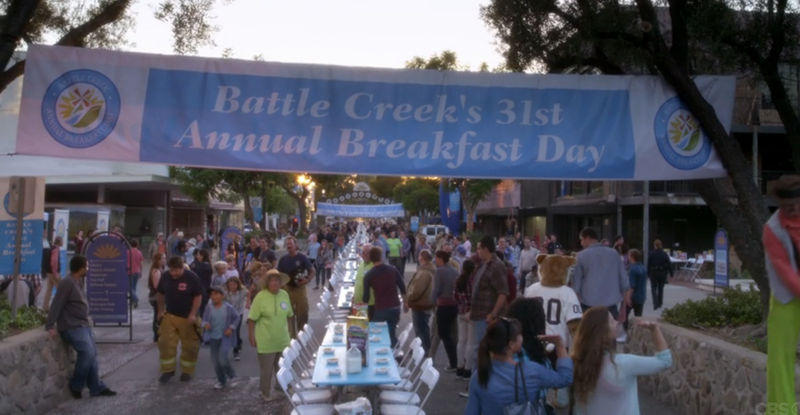 This year’s Cereal Festival and World’s Longest Breakfast Table is being held on June 13. While they are at the “Breakfast Day” I noticed a shot of a coffee shop logo that looked very familiar. 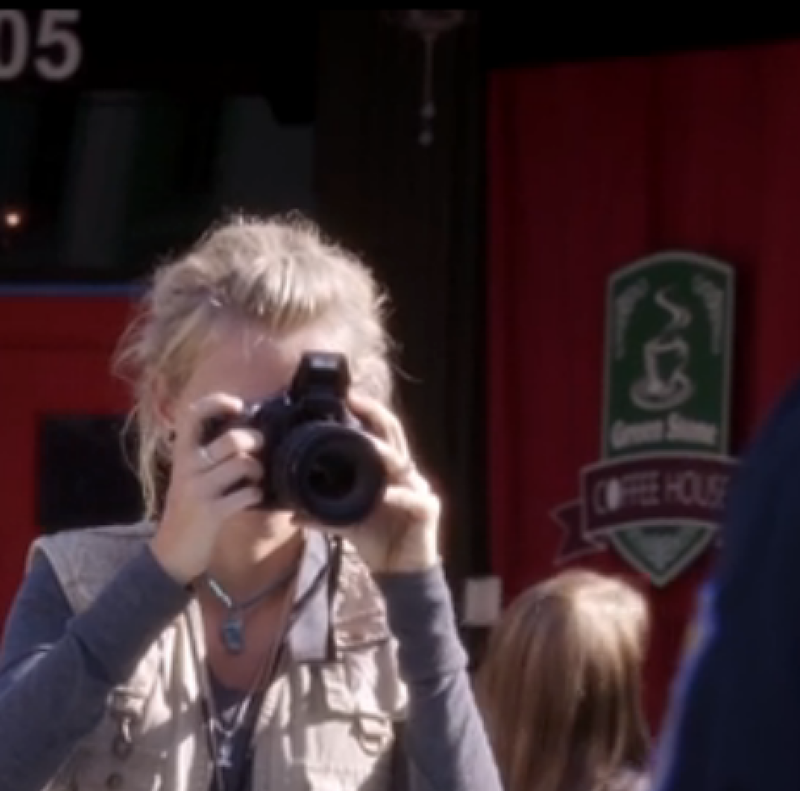 In the TV “Battle Creek” the shop was named “Green Stone Coffee House”. In the real Battle Creek, there is a coffee shop that is named Brownstone Coffee House. It is a Battle Creek staple and the logo looks very similar. Stop by Brownstone in downtown Battle Creek if you are ever in town! In the police station office there are always aspects to find every week. This week I noticed an article from the Battle Creek Shopper. It was about three new players coming to town to play for the bombers. 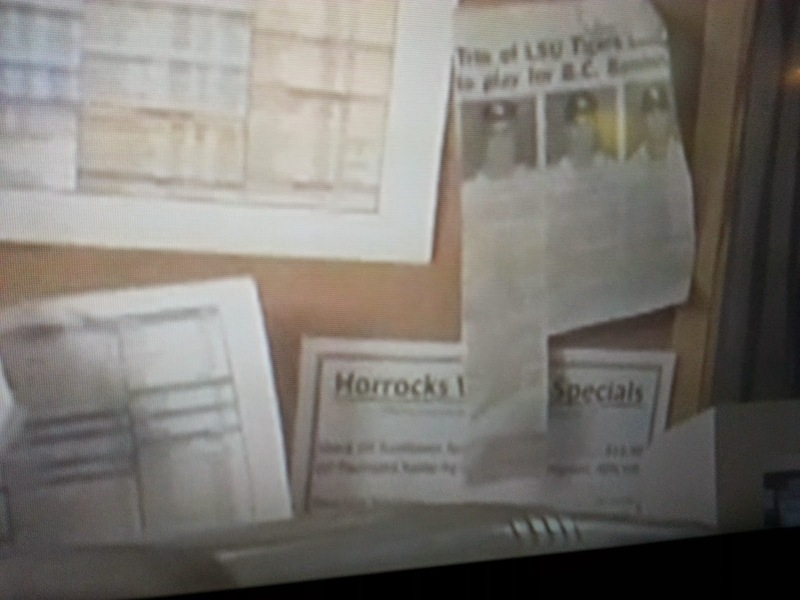 On that same bulletin board there was a piece of paper for Horrocks specials. Horrocks is a grocery store in downtown Battle Creek. It is one of my favorite stores in the real Battle Creek. It has great produce, specialty items, and a great flower selection. They also have a great deli to get a delicious lunch from. “Battle Creek” did not disappoint this week! I cannot wait to see what Episode 7 has in store!